John Whorf studied at a young age with his father, Harry C. Whorf. He later studied at the School of the Museum of Fine Arts in Boston with William James and Philip Leslie Hale in 1917 and also at the Ecole des Beaux-Arts & Academy. Most notably, he worked under John Singer Sargent in Boston from 1925–1926 who strongly influenced his work. After a full recovery from a paralyzing fall at age 18, he traveled in Europe and painted throughout France, Portugal, and Morocco, working in watercolor rather than oil. 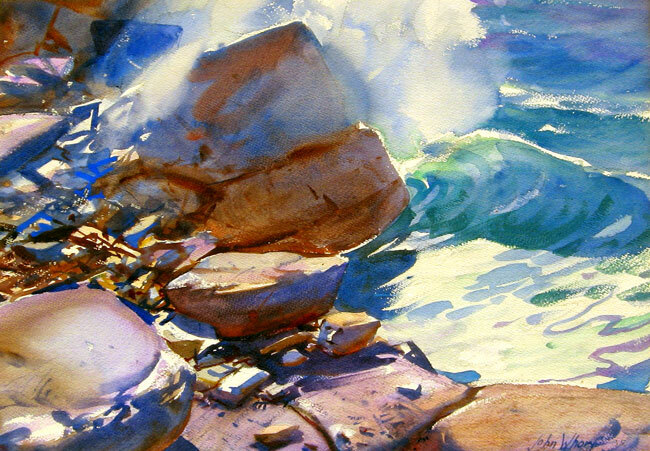 He was a highly regarded watercolorist and was a member of the National Academy of Design. His works are in the collections of many institutions including the Museum of Modern Art, the Boston Museum of Fine Arts, and the Metropolitan Museum of Art. Please contact us if you are interested in selling your John Whorf paintings or other artwork from the 19th century and early 20th century.